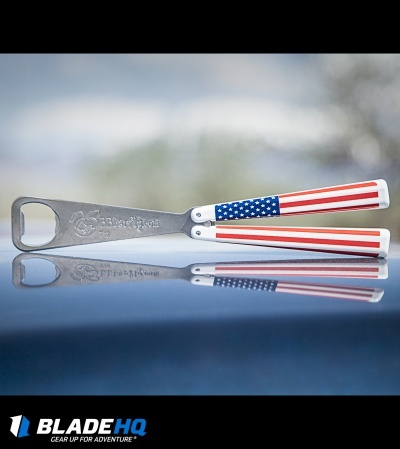 Give your beer-tending some flair with the BB Barfly Bottle Opener. This bottle opener features the USA Flag solid aluminum handles, thick stainless steel bottle opener 'blade', and channel construction. The 'blade' has a large bottle opener with BBbarfly.com stamped on both sides. Great to WOW! 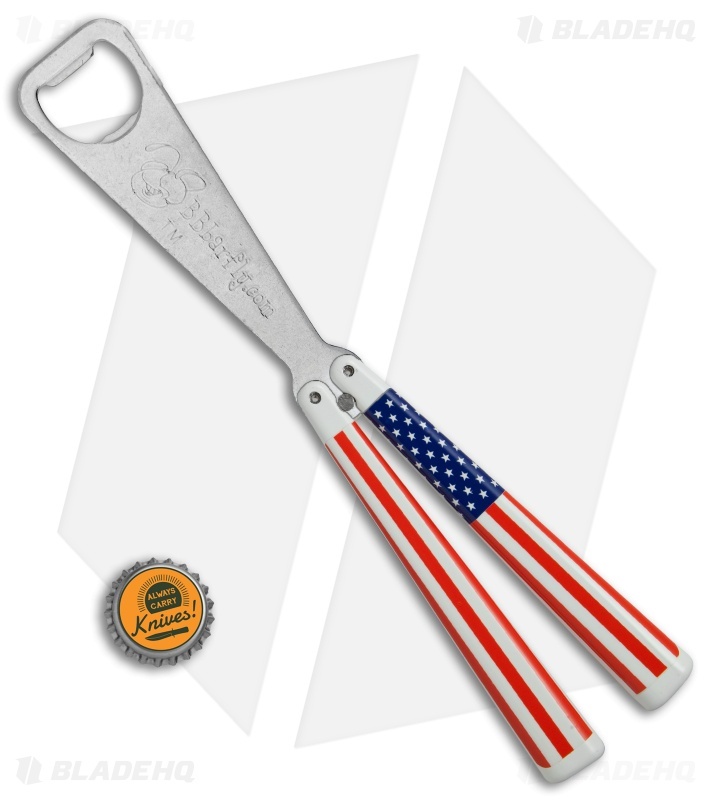 your friends as you show off your new beer-opening moves with this BB Barfly bottle opener. 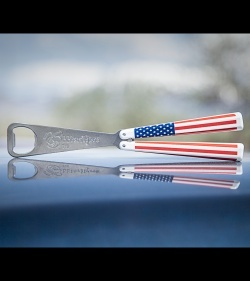 The best bottle opener ever made right here in North America! I've bought a few trainers online and looked around and found a lot of people praising the BBbarfly so I figured I would order one on bladehq. 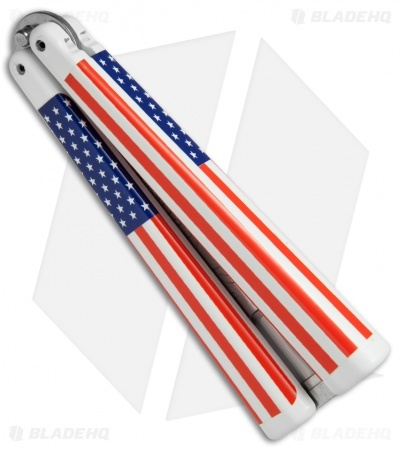 I just got it and it blows all of the other balisong trainers I have out of the water. 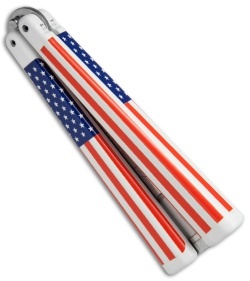 The weight is great for flipping. 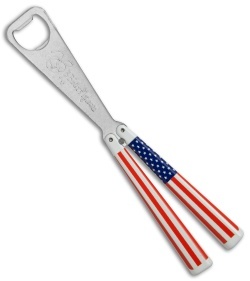 also 'MERICA!